How do I re-assign a proposal to a different user? 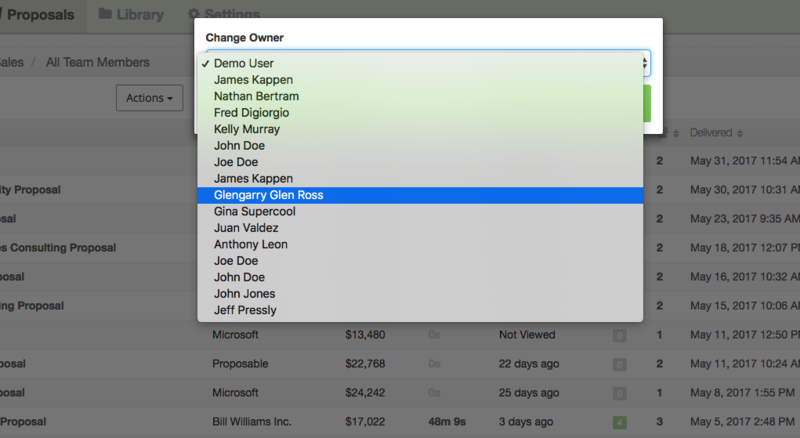 Changing ownership from one user to another is quick and simple. Start by locating the proposal(s) in the Proposals tab > In Progress. 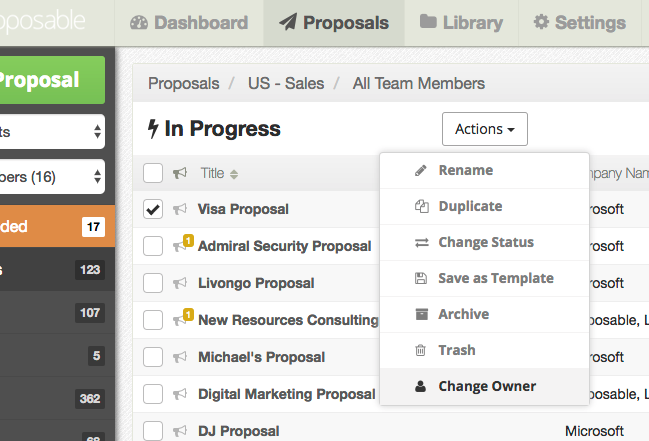 Check the box to the left of the desired proposals and click on Actions > Change Owner. A window will pop-up which will ask you which user to assign the proposal to. Select the desired user and assign the proposal. Warning: Once you have switched the ownership to a different team member, they will have control and the previous owner could potentially lose all access to the proposal based on their user role.